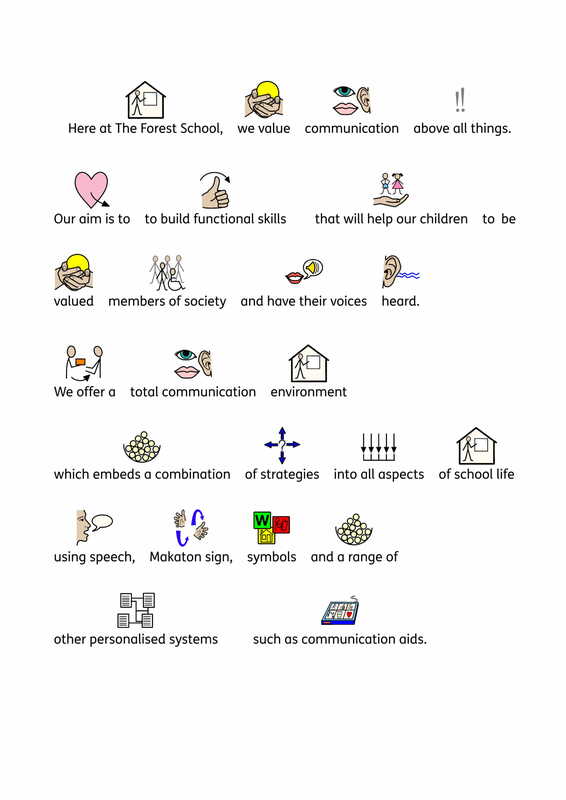 Here at The Forest School, we value communication above all things. Our aim is to build functional skills that will help our children and young people to be valued members of society and have their voices heard. 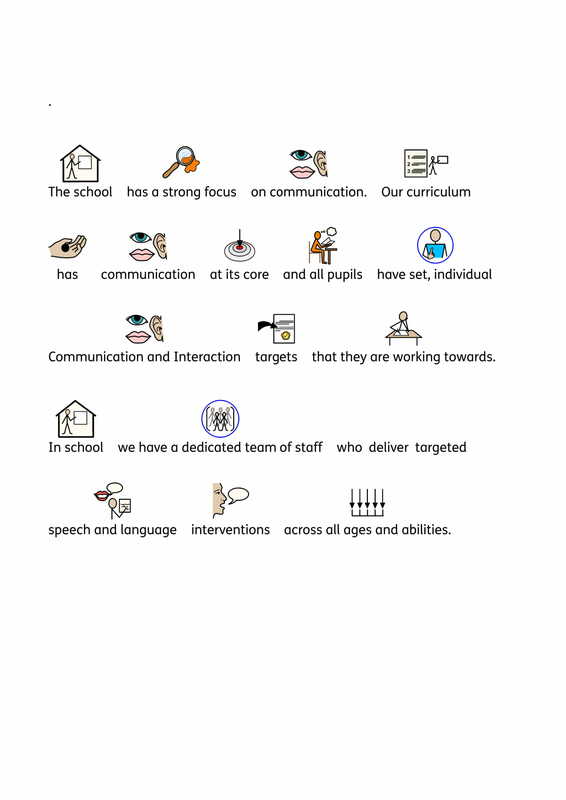 We offer a total communication environment which embeds a combination of strategies into all aspects of school life using speech, Makaton sign, symbols and a range of other personalised systems such as communication aids. The school has a strong focus on communication. Our curriculum has communication at its core and all children have set, individual Communication & Interaction targets that they are working towards. In school we have a dedicated team of staff who deliver targeted speech and language interventions across all ages and abilities. We can provide support, training and advice to professionals working with the children, also parents and carers as required. 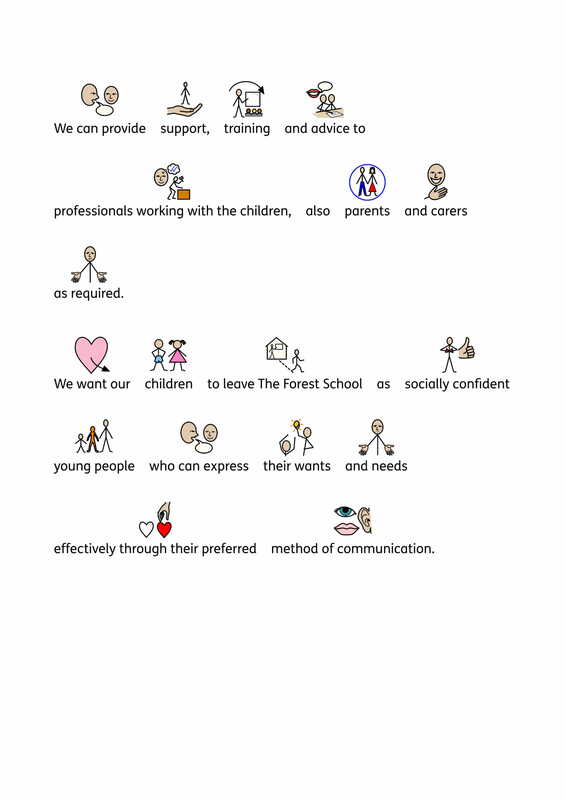 We want our children to leave The Forest School as socially confident young people who can express their wants and needs effectively through their preferred method of communication.